Vestkorn faba protein is made from dry milling and air classification of the faba beans. It provides protein and other nutritional benefits in the formulations. Vestkorn faba protein contains as much as 65% protein d.m. 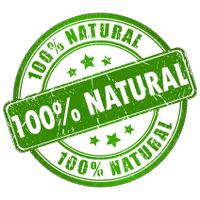 which is uniquely high for a 100% natural products where no additives nor chemical compound are used. Vestkorn faba protein is rich in the essential amino acid lysine. It is neutral in terms of flavour, aroma and colour. Vestkorn faba protein is prepared without the use of any processing aids or chemical compounds. The dry milling maintains nutritional values better than other methods and the fine milling increases the nutritional availability. Vestkorn faba protein is available as pellets or as flour, and at 65% protein level, based on the dry matter content of protein.